Barrettine Citronella Outdoor Lantern & Torch Oil: 1 litre, with a lemony fragrance, used through the ages to repel insects. Citronella is well known for it's insect repellent properties and remains ever popular. 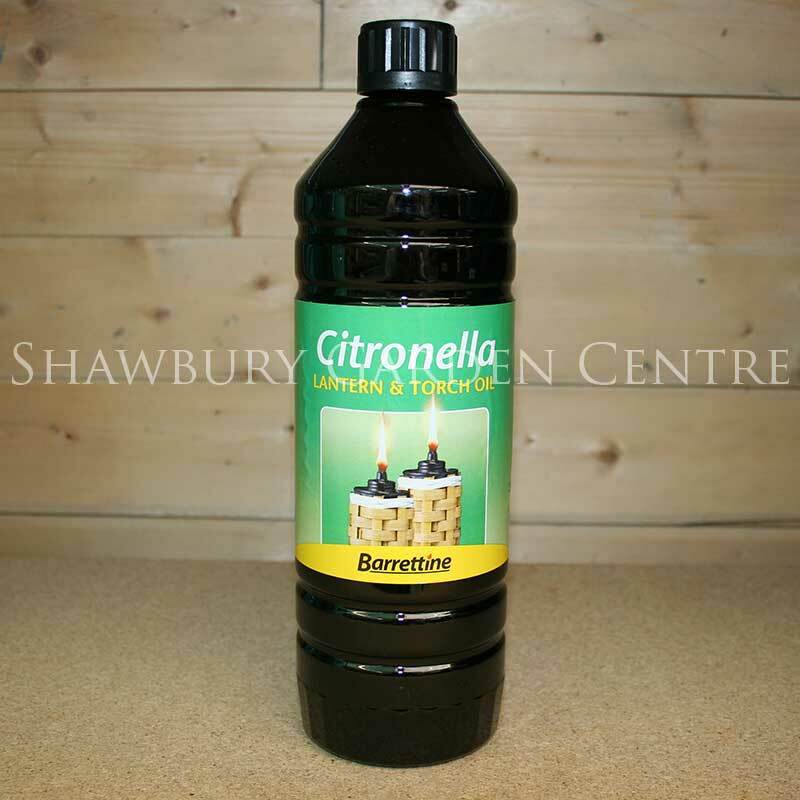 If you would like further information about Barrettine Citronella Lantern & Torch Oil, please contact our garden centre at Shawbury just outside Shrewsbury in Shropshire, by calling 01939 251315 or emailing.